Keeping The Standard For Clean Set On HIGH™, the Hoover Platinum Collection features six products designed to get floors truly clean – quickly and easily – so you can move on to the other parts of your life. 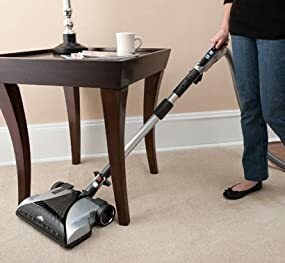 With the Hoover Platinum Collection Cyclonic Bagless Canister you have a great all-around vacuum for a thorough floor-to-ceiling clean, especially if you have a higher ratio of hard flooring in your home. 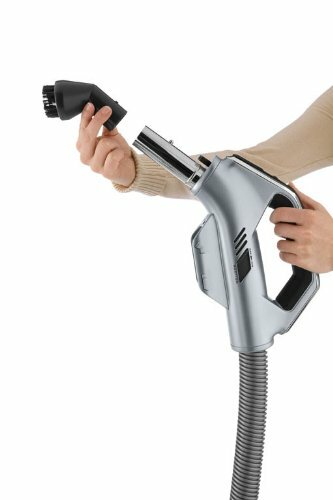 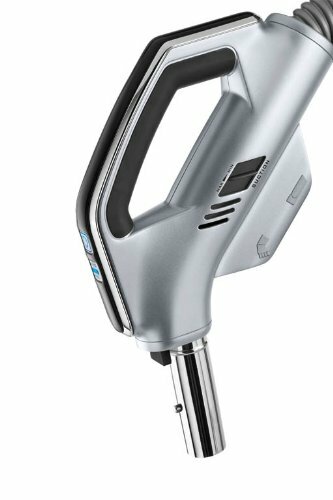 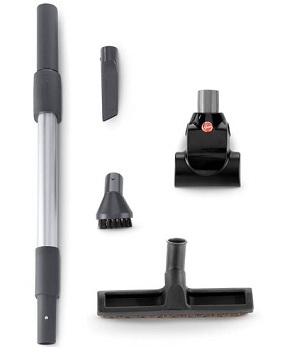 Designed with a detachable telescopic wand and on-board tools including an Air-Powered Hand Tool for hard to reach areas, and a power nozzle with swivel neck to reach around furniture legs and corners with ease. 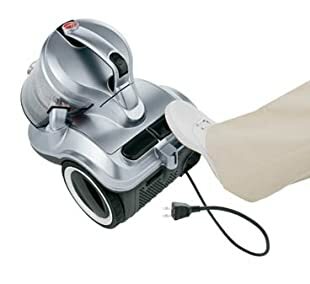 Equipped with Hoover's patented WindTunnel technology and three distinct air tunnels, this bagless canister vacuum cleaner effectively lifts and removes dirt and debris, trapping it inside the cleaner instead of scattered back out on the floor. 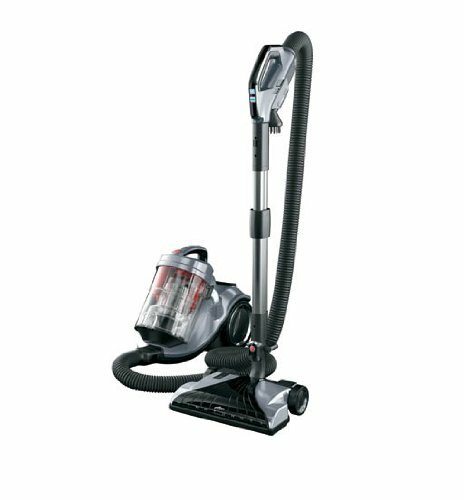 The Cyclonic Bagless Canister features a Multi-Stage Cyclonic Filtration System, which cleans the air moving through the filter to ensure no loss of suction, with all the power needed to get floors truly clean. 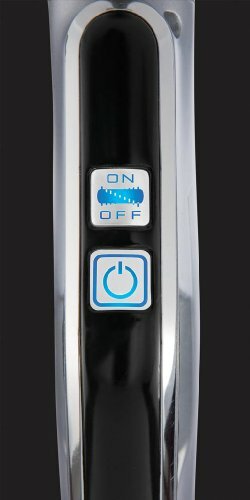 Its fingertip controls offer comfortable access to the power button, suction control, and brush-roll switch. 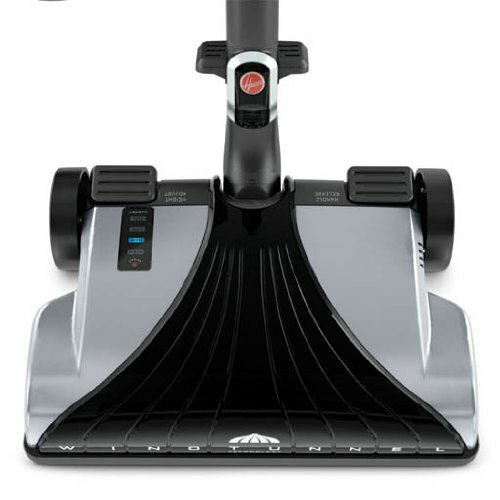 Turn the rotating brush on when vacuuming low- to high-pile carpets and rugs; flip the switch off for safely cleaning hardwood and other bare-floor surfaces. 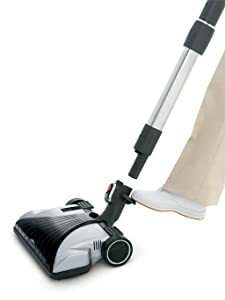 A foot-petal control adjusts the nozzle to accommodate different carpet heights and floor types. 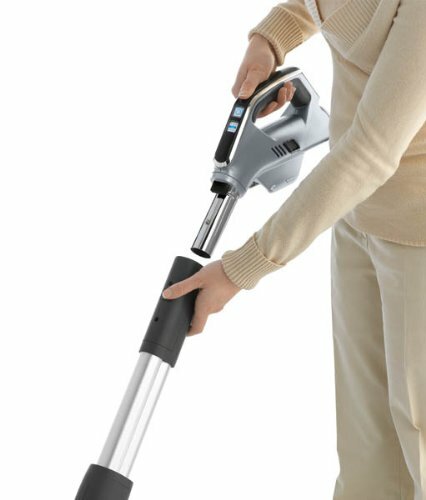 For above-floor cleaning, the vacuum provides a 7-foot hose, a detachable telescopic wand, and a variety of on-board tools. 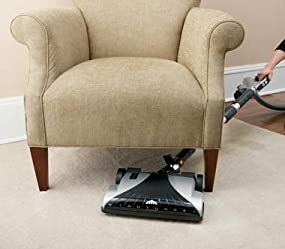 Use the turbo tool for stairs; the crevice tool for between couch cushions or other tight spots; the dusting brush for bookshelves, vents, and lamp shades; and the upholstery brush for curtains, living-room chairs, couches, and more. 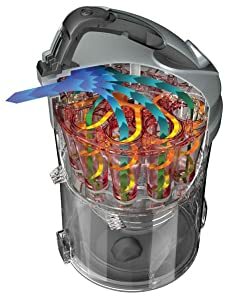 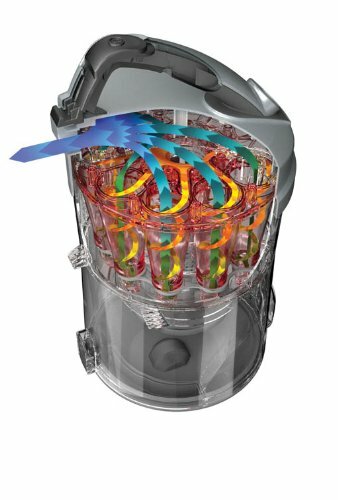 The unit's multi-stage cyclonic filtration system keeps the air that moves through the filter substantially cleaner than the air being pulled into the vacuum, which helps ensure the vacuum doesn't lose suction power when cleaning. 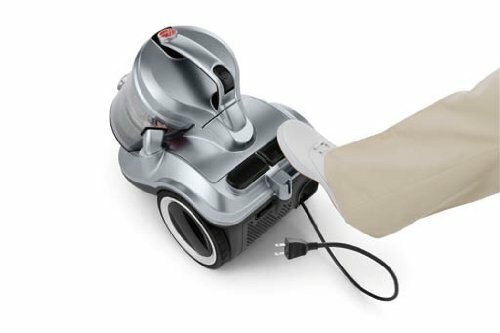 Plus, its filter comes with HEPA media, which effectively traps 99.97-percent of dirt, dust, and pollens down to 0.3 microns in size. 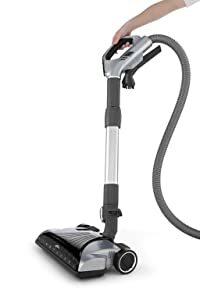 Other highlights include a 14-inch-wide nozzle, swivel casters for smooth maneuverability, a headlight, an easy-empty dirt cup (no bags to buy), a 25-foot power cord, and automatic cord rewind at the push of a button. 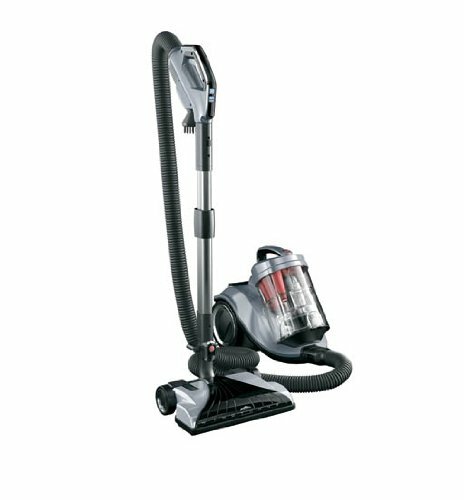 The 12 amp canister vacuum cleaner measures approximately 25-3/5 by 14 by 17 inches and carries a five-year limited warranty.